2018 was the year of cults, both onscreen and off. As Trump supporters kissed the feet of an online huckster called Q, the airwaves lit up with documentaries, podcasts, and series about Heaven’s Gate, the Branch Davidians, and, in perhaps the most impactful depiction, the little-known Rajneesh cult. The latter’s story unfolded in Netflix’s hit docuseries Wild Wild Country, which was built around Rajneeshee spokesperson Ma Anand Sheela and the group’s leader, Indian guru Osho (a.k.a. Bhagwan Rajneesh). Sheela, it appears, will also be the focus of a new feature film based on the Rajneeshpuram community. Quantico actress Priyanka Chopra revealed on Ellen on Wednesday that she would produce and star in the feature, which would find Hollywood staple Barry Levinson (Rain Man, Paterno) behind the camera. Chopra doesn’t confirm her role in the interview, but Variety reports that she’d step into the leading role of Sheela. “Devious” is one way of looking at Sheela, though, in our review, we focused on how her “steely resolve and amoral pragmatism” was driven by her belief that Osho was truly the love of her life. 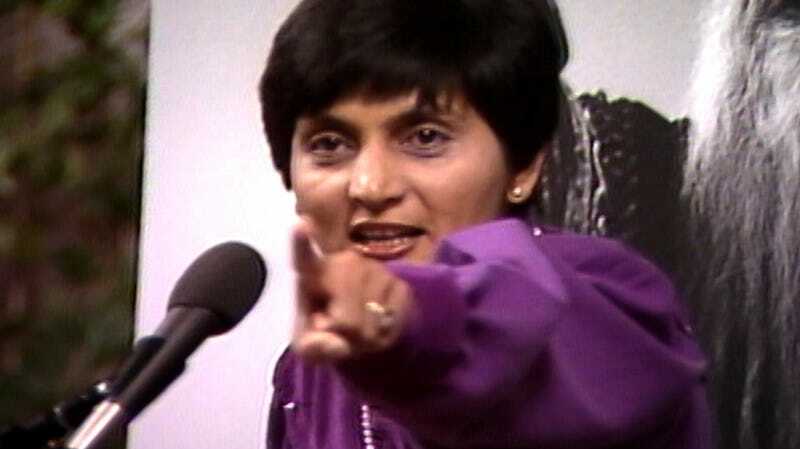 But, hey, Chopra’s producing and, if you don’t like it, well, Sheela has a few words for you.